Welcome to Aristos Water Sports website. Build your skills whatever your level, we offer lessons and refresher courses. We have two wonderful locations our Aristos Headquarters and our Kalamar base for your convenience. 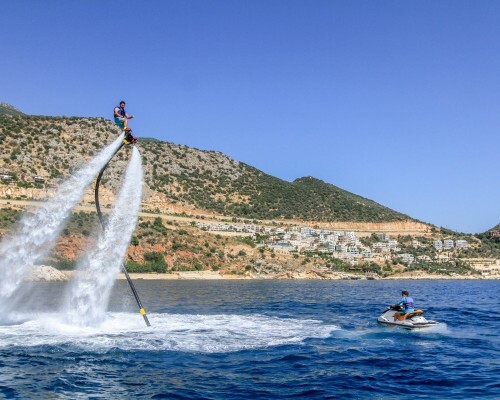 Aristos Water Sports offers you the chance to try this wonderful new trend the Flyboard/Hoverboard. We have two wonderful locations our Kalamar base and Aristos Headquarters. Come check us out. If cruising in speed is your thing, be sure to come and see the truly stunning Turquoise Coast. The views are breathtaking. Our Skippers will take you on an unforgettable adventure to the see the islands, caves and gorgeous landscape surrounding Kalkan Bay. Glide like a bird with Aristos Water Sports - Parasailing. Get ready to feel your heart pumping with the latest trend in the water sports world - the Flyboard/Hoverboard. 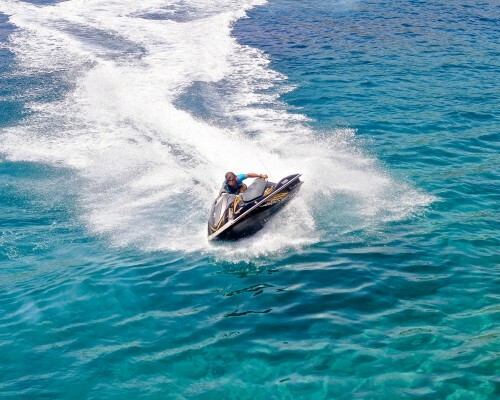 Alone or with friends, enjoy the thrills and freedom of Jet Skiing over the waves and out to sea. Water-skiing is a great option not just for adults, but for your kids too. Let us teach you, learn to wakeboard or kneeboard. 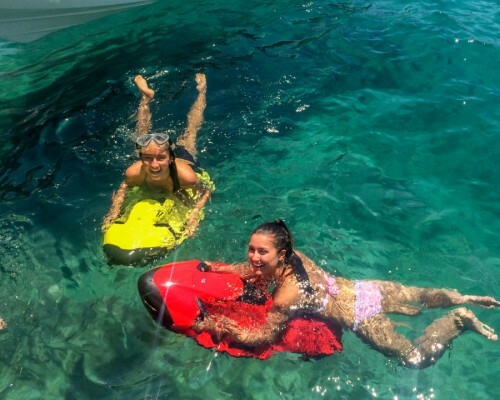 If speed excites you come down to Aristos Water Sports and have a ride with our inflatables. 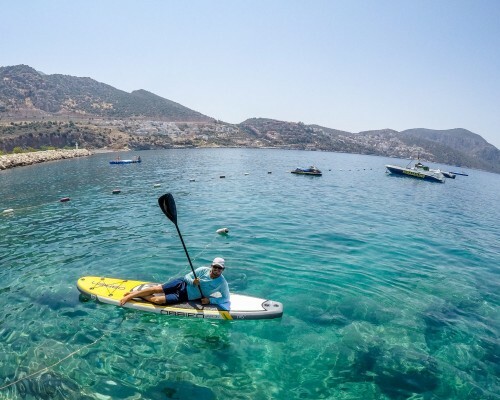 Stand Up Paddle board SUP around the coast of Kalkan with Aristos Water Sports. 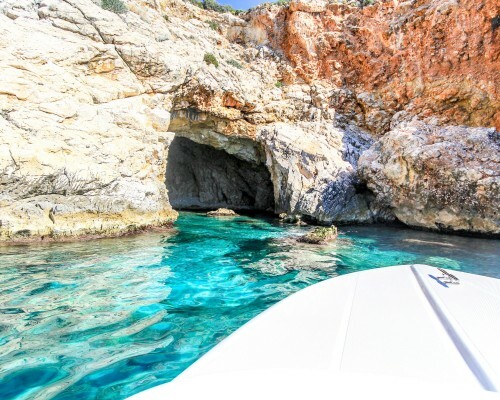 Explore blue lagoons, the untouched azure sea, with our speedboat trips. 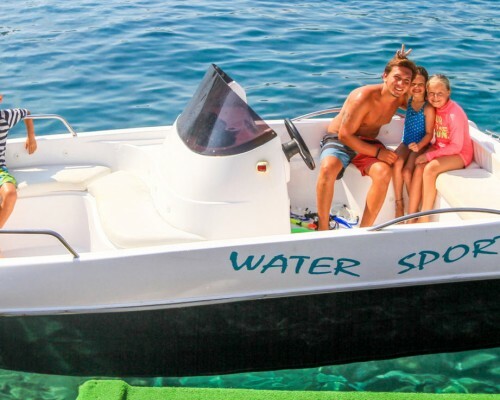 Rent a boat and create your own magical experiences cruising the incredible Turquoise Coast. Aristos is a company that specialises in high quality Water Sports. We love and are very passionate about all what we do. 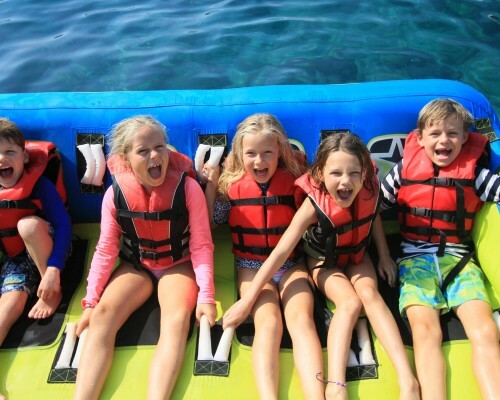 For the last 10 years we have managed to introduce many wonderful new activities to Kalkan. 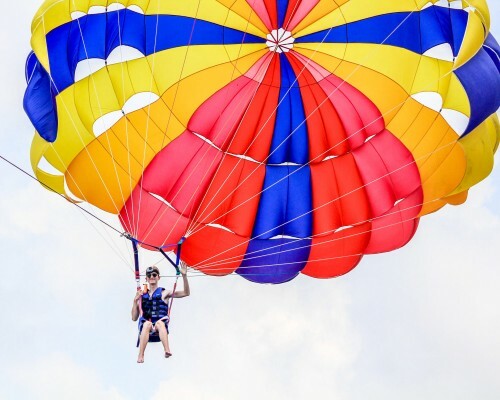 Activities that include, Parasailing, Seabobs and Flyboarding. We want to continue doing great work and meeting new people who inspire us and vice-versa. Each year we invest in quality to create a wonderful environment. And having the best equipment in the region. Our ethos is to assist you, in creating an unforgettable adventure. A holiday of shared experiences that you can talk about for years to come. We are all about quality over quantity. Our skilled professionals, attention to safety and warm hospitality are the reason our customers return to us year after year. We are proud recipients of the TripAdvisor Award of Excellence for 2016, 2017 & 2018. Mustafa Çelik Co Founder, Captain and Director, has worked within the industry for the last sixteen years. He is the vision behind the Aristos brand his resilience and hard work and our wonderful crew are what have made Aristos so successful. We strive to constantly improve the company with better infrastructure, the latest equipment and crew professionalism. All Rights Reserved 2009-2019 ©copyright @Aristos Water Sports.